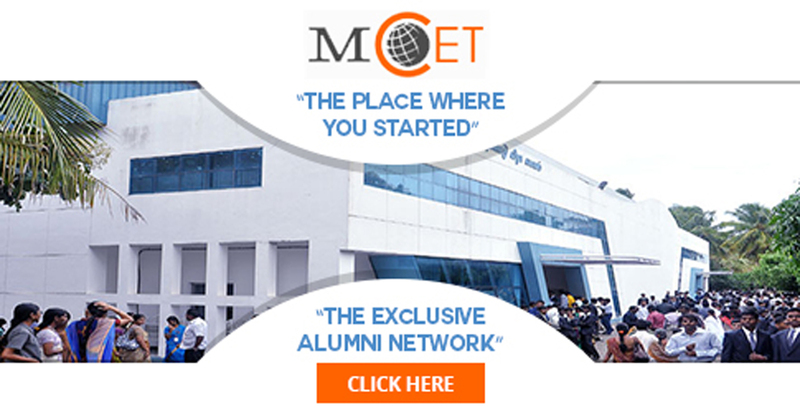 Welcome to the MCET Online Alumni Networking Portal. Over the years, our alumni network has expanded across the globe and industry sectors. This portal would serve as a medium to maximize benefits of being part of this vibrant MCET Alumni network. From current events to job referrals to entrepreneurship support to crowd sourcing to nostalgic activities, we bring it all under one umbrella. This is your association with your ALMA MATER and we aim to make it great!